With Christmas coming we’re starting to think about Christmas presents and things were going to be adding to our Christmas lists! So when James Moore Jewellers (great name, by the way Mr Moore!) got in contact with me and asked if I wanted to feature one of their products on my blog I was so excited. 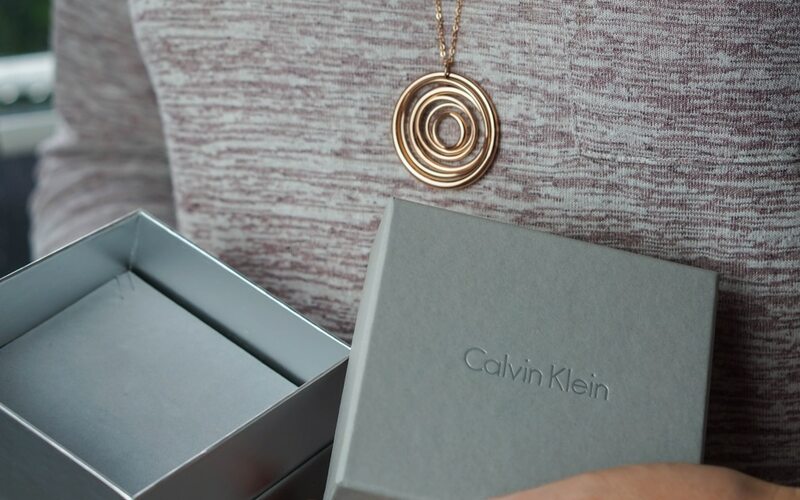 After looking around on the website for quite a while as they have so many lovely pieces I decided to go for the Calvin Klein Rose Gold Necklace. 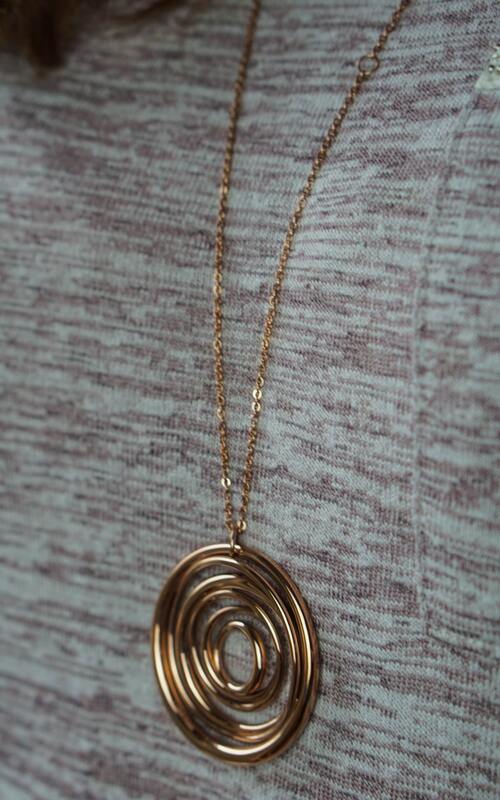 I have started to wear some rose gold pieces recently and I really love it. It’s such a warm colour and goes with pretty much everything. This necklace was packaged nicely in a grey Calvin Klein cardboard box with a foam insert which really set the necklace off. 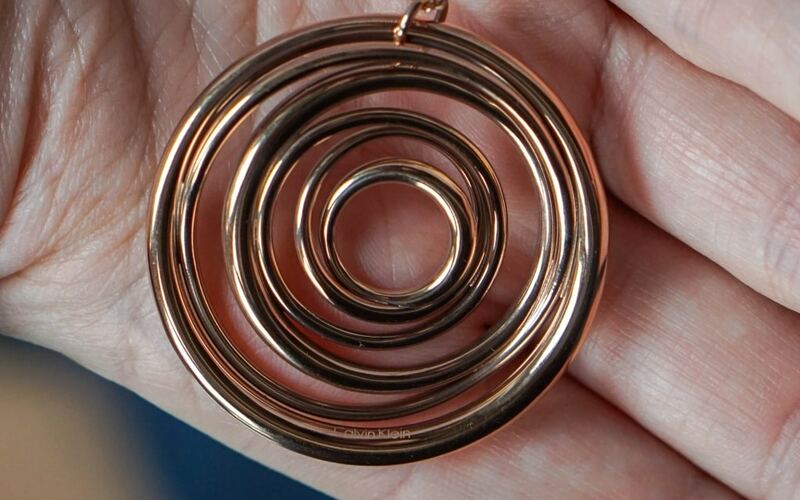 The pendant is made from stainless steel so it’s quite chunky and not a dainty pendant. The chain, however, is quite dainty but still feels strong enough to take the weight of the pendant. Measuring 39cm/15.5″ in length this necklace is to be worn over your clothes and hanging down lower. This would look lovely on a plain top so the focus can be on the necklace. Although it can be worn higher up as it has a little loop in the chain to bring the necklace up. I love that you have the option. If you notice on the website the brand name Calvin Klein is on the necklace, I wasn’t so sure about it as it looked very obvious. To the point that I wondered if it wasn’t on the pendant and it was a watermark style writing. You can just about see it on this image but I had to look really hard to find this! James Moore call the necklace Calvin Klein Sumptuous Rose Gold PVD Plated Necklace, the price is £109 and they offer free delivery on all orders. I do think they need a little more information on the website about the product, but I was very pleased with the product. 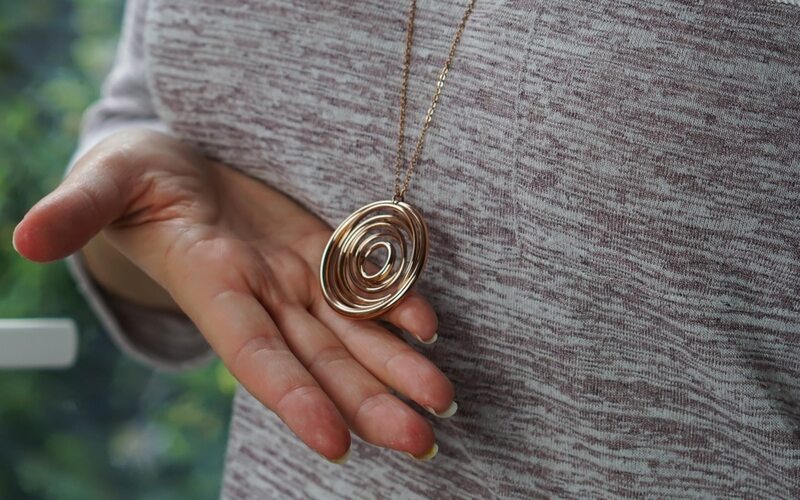 I think this would make a lovely Christmas gift this year for anyone who loves rose gold jewellery. *I was sent this necklace from James Moore jewellers for the purpose of this review. However, all opinions are honest and of my own. What a beautiful necklace. It’s gorgeous and I absolutely love it. I like the style and pattern. That’s such a pretty necklace and would make a lovely Christmas present. 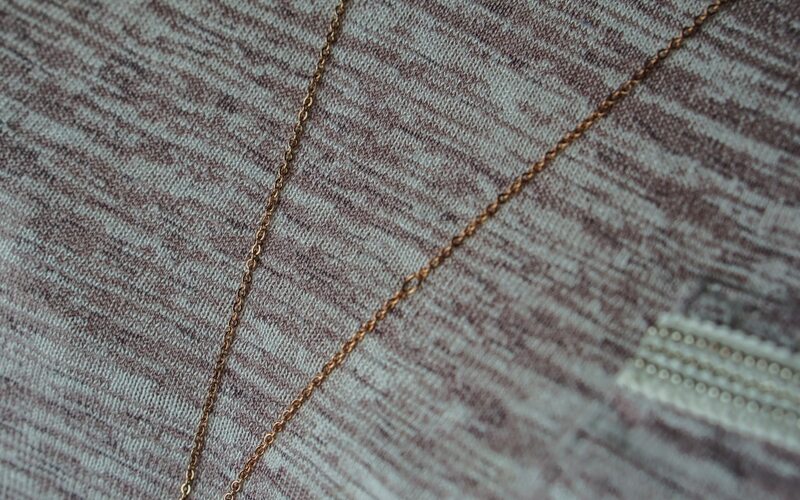 Rose gold is so much softer looking than normal gold. This is really lovely! It looks really versatile too like you could dress it up for an evening out but it wouldn’t look out of place as a statement piece of jewellery on day wear too! I really like it, I might mention it on my xmas list! 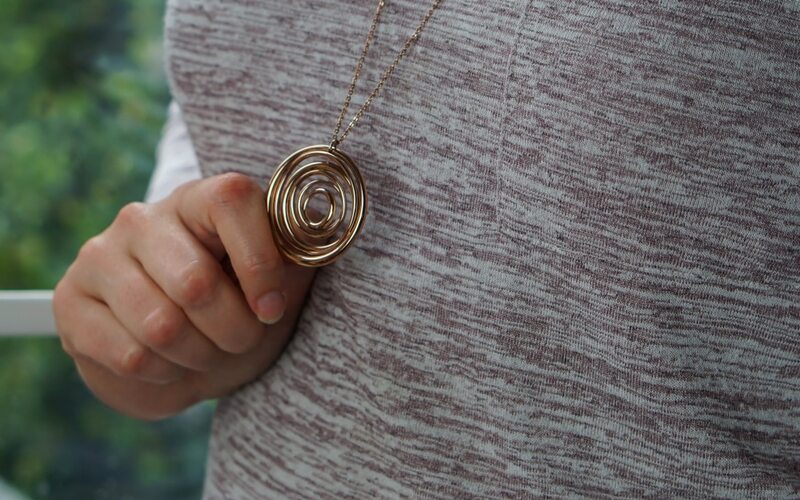 Its a lovely piece isn’t it, so easy to wear with lots of outfits too. Hope it appears under the tree! Oh Steph, that’s such a lovely necklace. I love versatile pieces that can be worn low or high because as you pointed out, it gives you more options. I love the design and the brand stamp is very small so not so obvious. It doesn’t detract from the necklace at all. I think you’ve chosen such a lovely necklace and is be very happy to open that up on Christmas day! This is stunning. And you’re right it’s a great Christmas idea. My friend would love it and it’s so affordable. Great review. This necklace is stunning, it’s something I would definitely hope to find under the tree at Christmas. I love it’s simplicity! Be a lovely surprise wouldn’t it! Going to show hubby this as thee season is creeping up,ain’t it ?! It’s such a beautiful colour isn’t it, thank you very much and hope you get a lovely Christmas present!! That Calvin Klein Rose Gold Necklace is gorgeous! I love statement pieces over small dainty pieces – just a personal preference tbh – so I just love this necklace.